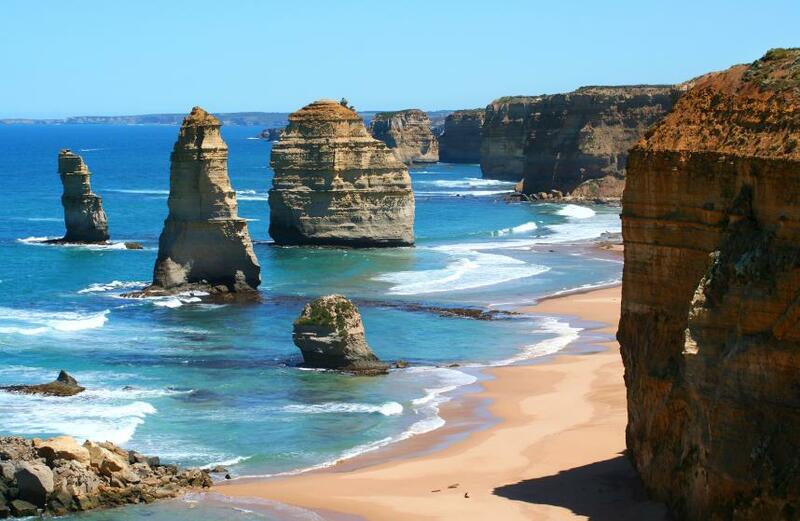 Situated on the famous coastal tourist drive of the Great Ocean Road, Port Campbell is a popular holiday destination, particularly because of its proximity to the iconic Twelve Apostles and a number of other renowned natural attractions. A vibrant coastal town, Port Campbell is lined with Norfolk pines and sheltered by cliffs, lending it the air of a safe haven on the edge of the wilds of nature. Enjoying a lively atmosphere, Port Campbell’s main street is home to a wide range of cafes and restaurants, many of which enjoy views of the beach. There are also fragrant bakeries offering homemade treats, boutique shops and galleries to explore. For leisure and recreation activities, Port Campbell as a lot to offer. There are a number of local creeks as well as the harbour, all of which offer excellent fishing opportunities. Surfers regard Port Campbell’s Two Mile Bay as having some of Australia’s best big-wave breaks. However, if being outdoors and amongst nature is what you love, then Port Campbell’s amazing range of natural attractions is sure to impress. 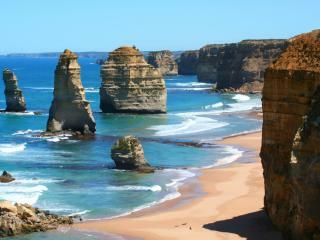 In fact, the natural attractions of Port Campbell National Park are world famous. From the iconic Twelve Apostles to the renowned Loch Ard Gorge, the wave-sculpted rock formations are truly a sight to behold. Just minutes from the centre of Port Campbell, the Twelve Apostles are a collection of towering limestone stacks that are a dramatic natural attraction. Just a short drive away, there are also a number of sightseeing tours that offer unique perspectives on these immense rock formations including boat and helicopter tours. Nearby there is also the eerie geological formation of The Grotto, created by limestone cliff sinkholes meeting receding cliff lines. Offering an excellent view back toward the 12 Apostles, The Arch is a naturally formed rock formation eroded by rough seas over thousands of years. Originally a natural archway and offshore rock formation tunnel, London Bridge collapsed in 1990 and is now a bridge with no middle. Finally, Loch Ard Gorge is an amazing natural attraction with a rich maritime history that puts on quite a show when rough weather causes the waves to crash against the immense cliffs and narrow opening out to sea.